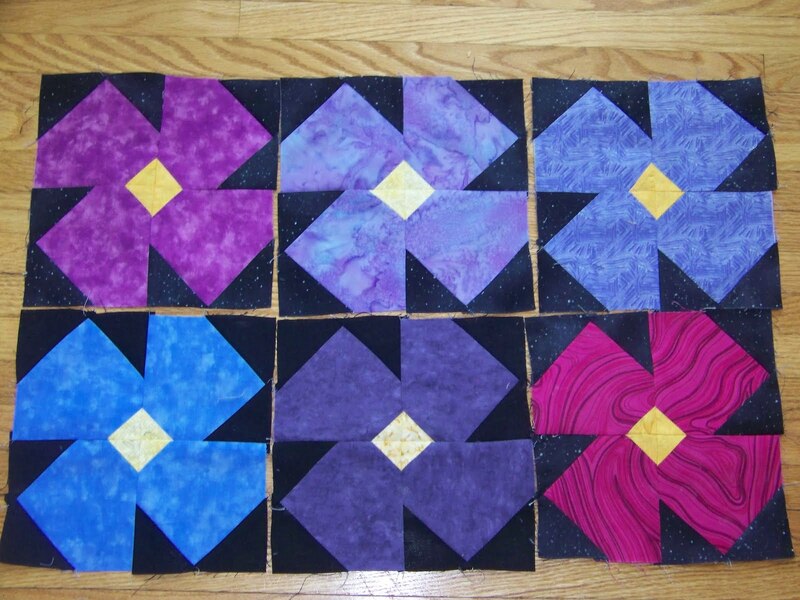 My 6 violet blocks for August. Is it greedy to want to win these too?? OOOOHH! 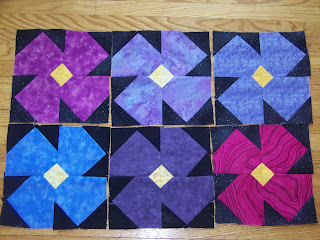 I am NOT a fan of pink but I LOVE that bottom right flower with the pink swirl fabric! Do you happen to know where you got it at? I've added your blocks to the list. That pink piece is a Northcott Silk from 5+ years ago.